The Bradford Exchange, only USA shipping. The Art Prints ship internationally. 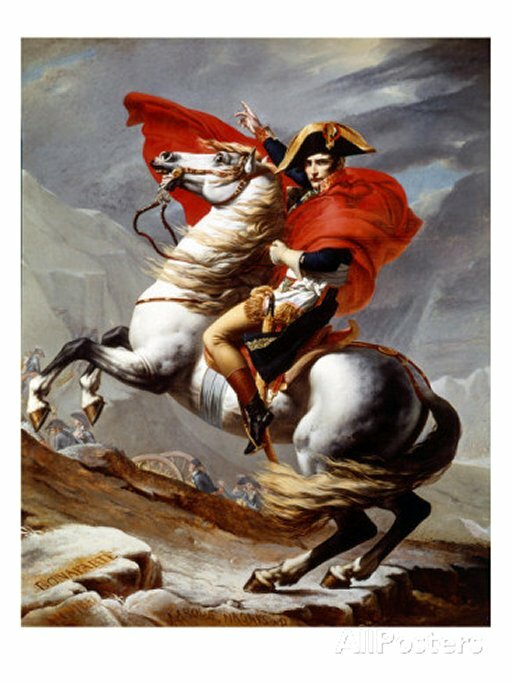 CLICK HERE for "Jacques-Louis David" Art Prints! For generations, the lovable Disney characters have been a part of holiday traditions all around the world. Now, celebrate the magic of a Disney holiday with this musical Disney train featuring miniature Disney snowglobes! The Disney Wonderland Express Train Collection begins with Issue One, Santa Is Comin' To Town and continues with Issue Two, Candy Canes and Pixie Dust, Issue Three, Holiday's First Kiss, Issue Four, Hunny of a Holiday and is completed with Issue Five, Enchanted Journey Caboose, each issue shipped separately. The longest-running holiday special in television history, Rudolph the Red-Nosed Reindeer® has been a cherished part of holiday traditions since it first aired in 1964. Recapture the magic of this timeless holiday classic with the Rudolph the Red-Nosed Reindeer snowglobe, a first-ever exclusively from The Bradford Exchange.This Rudolph® snowglobe features many of your favorite Rudolph the Red-Nosed Reindeer characters like Hermey®, Bumble®, Sam the Snowman®, Clarice® and more all masterfully hand-cast and hand-painted in vivid details and vibrant colors. Glittery snow continuously blows while Santa's castle, the lamppost and tree, even Rudolph's nose illuminate at the flip of a switch! Plus, the beloved melody of "Rudolph the Red-Nosed Reindeer®" song plays at the volume of your choice. High demand is expected for this limited-edition collectible masterpiece. Order now! It's a nightmare come true: Jack Skellington, Sally, Oogie Boogie and Zero are ready to bring eerie delight to your home. Introducing Disney Tim Burton's The Nightmare Before Christmas Snowglobe, a first-ever illuminated masterpiece snowglobe from The Bradford Exchange, available in an edition limited to 120 casting days . A handcrafted work of art packed with spooktacular details, this custom-designed sculpted snowglobe features lights, music and motion and showcases the stunning magic, brilliant characters and warm heart of the classic film. The centerpiece of this impressive display is a fully sculpted scene featuring Jack Skellington and his true love Sally front and center. Close by are Jack's good-spirited pup Zero and the mean-spirited Oogie Boogie. Jack's crooked house on a crooked hill illuminates from within. And inside the snowglobe is the iconic image of Jack himself on Spiral Hill, framed by a harvest moon that illuminates at the touch of a switch. A special mechanism keeps a flurry of black glitter and flying bats in motion, while the strains of "This Is Halloween," directly from the film's original soundtrack, fill the air. A wood-tone base with a metal nameplate completes the one-of-a-kind illuminated musical snowglobe. Strong demand is expected for this Disney collectible tribute, so don't wait. Order now! Since 1964, the world has set their holiday clocks by the annual viewing of Rudolph the Red-Nosed Reindeer®. Now, the magic of a Rudolph® holiday unites with two other beloved holiday traditions - old-fashioned train sets and enchanting snow globes - in this limited-edition Holiday Express Snowglobe Collection, an officially licensed first ever miniature snowglobe collection exclusively from The Bradford Exchange! All aboard for a truly jolly Christmas, beginning with Issue One, the musical A Couple of Misfits locomotive. Next to arrive will be Issue Two, Greetings from the North Pole. Soon your collection will continue with Issue Three, Catching Snowflakes, and additional Rudolph the Red-Nosed Reindeer collectible snowglobe train cars, each a separate issue to follow. Here's a musical trainload of pure holiday joy! Each of the train car snowglobes in this collection is handcrafted by expert artisans to recall an old-fashioned train car topped by a miniature snowglobe that swirls with glittering "snow" when shaken. The snowglobes all feature fully sculpted hand-painted scenes inside, starring your favorite characters from the 1964 TV classic, including Rudolph®, Hermey®, Santa Claus, the Misfit Toys™, Clarice®, Bumble® the Abominable Snow Monster® and more. The vintage-style train cars are beautifully decorated with sculpted swags, colorful bows, silvery touches and vibrantly detailed, authentic artwork. Issue One, A Couple of Misfits locomotive, plays iconic music from the TV show, and the cars even connect together like a real train for display on a table, shelf, mantel, or under the tree! Strong demand is expected for this holiday must-have, so don't wait. Order now! If the holidays are near, that can only mean one thing: the PEANUTS® Gang is ready to celebrate with all of the traditions that make the season so festive! And now you can join the celebration too with this limited-edition PEANUTS Merry and Bright Snowglobe, a first-ever exclusively from The Bradford Exchange. This illuminated, musical snowglobe features Charlie Brown, Snoopy, Linus and the rest of your longtime favorite friends, just waiting for you to join them as they hang lights, enjoy sleigh rides, build snowmen, skate 'round and 'round and more! This officially licensed PEANUTS collectible is the perfect way to treasure all the best holiday memories. Individually hand-cast in artist's resin and hand-painted in colorful detail, it boasts a crystal-clear snowglobe topped by a silver star. Inside a fully sculpted scene stars Charlie Brown, Linus and Snoopy. The globe illuminates from within at the touch of a switch, while a built-in water pump sends snow swirling as Charlie Brown and Linus put the finishing touches on their perfect tree. Outside the globe, Lucy leads a skating line with Sally that actually circles around the snow-covered base, while more colorful lights illuminate one of the trees and a medley of eight beloved Christmas carols - including "Jingle Bells" and "We Wish You a Merry Christmas" - fills the air. Fans everywhere will want to join in the festivities and strong demand is expected, so don't wait. Order now! Is there anyone who really enjoys a sparkling snowfall more than the beloved PEANUTS® gang? Now, you can delight in their magical snow day - filled with ice, snow, music and light - with the PEANUTS Let It Snow Sculpture, a limited-edition Illuminated holiday sculpture and a first ever only from The Bradford Exchange. This officially licensed PEANUTS collectible features Charles M. Schulz's endearing characters delighting in a holiday blanketed in glistening snow, provided by the jolly snowman in charge. You'll find Good Ol' Charlie Brown and pal Linus putting their signature touches on a snow-covered tree; Snoopy and Woodstock working side by side to create another decoration contest award winner; Schroeder and some feathered friends sledding down a hill; and Lucy, Violet and Sally skating hand in hand along a frozen pond. Each scene is fully sculpted, handcrafted in artist's resin and hand-painted in intricate detail. At the touch of a switch, sparkling clear crystalline creates the look of real ice and the garland on the bridge and trees light up. A medley of favorite holiday songs plays, including "Jingle Bells," "Deck the Halls" and more - eight in all! This grandly sized PEANUTS collectible is sure to command attention wherever you choose to display it - with or without illumination. Your PEANUTS Let It Snow Sculpture arrives fully assembled for immediate display. Strong demand is expected. So, don't delay; order now! The wonderful tale of Rudolph the Red-Nosed Reindeer® has captivated the hearts of children everywhere for half a century with its sentimental story, stop-motion animation magic and sweet songs. Now, you can capture the fun and excitement of the longest-running holiday special in a 50-year celebration of this beloved story with the Rudolph the Red-Nosed Reindeer Music Box, an officially licensed, first-ever limited edition only from The Bradford Exchange. This fine, heirloom-quality music box is exquisitely handcrafted with a rich mahogany finish in the elite artistic traditions of Rhodes Studios for enduring collectibility. An intricately sculpted North Pole scene, complete with Christmas tree, is tucked inside this enchanting musical keepsake. Look closely and you'll find all your favorite characters in the scene - Rudolph®, Clarice®, Sam the Snowman®, Yukon Cornelius®, Abominable Snow Monster® and, of course, Hermey® the elf - all fully sculpted and hand-painted in festive holiday colors. Character artwork within a stained-glass-looking frame brightens the underside of the music box lid. Turn the key and you'll be transported back in time as the music box plays the signature melody "Rudolph the Red-Nosed Reindeer". As a distinctive finishing touch, the front of the music box is graced with a golden "Rudolph the Red-Nosed Reindeer" name plaque. Strong demand is expected for this 50th anniversary tribute to this beloved holiday classic. So, don't delay, order now! Join some of Disney's most beloved characters as they celebrate the wonder of the season in a winter wonderland of freshly fallen snow and twinkling starlight to create the most perfect Disney holiday ever. Now, you're invited to turn your holiday festivities into holiday magic with the Disney Magic of the Season Table Centerpiece Collection, a first-ever from The Bradford Exchange. The magic of the season really does come alive in this illuminated lantern collection, beginning with Issue One, Joy. Next to arrive will be Issue Two, Believe, and soon your collection will continue with Issue Three, Dream, and additional Disney lanterns, each a separate issue to follow. Each lantern in the collection features Disney famed characters in wintry holiday scenes inside beautifully detailed traditional-style lanterns. You'll find Snow White, Dopey, Happy and Grumpy; Cinderella and her Prince; Donald Duck, Pluto and more, each meticulously hand-cast in fully sculptural form and hand-painted with intricate detailing. But it's the twinkling lights attached to nearly invisible strands of wire that seem to dance in the sky above that truly make this Disney home decor shine. Crowning each lantern is a handcrafted Always in Bloom® snow-covered pine arrangement made from materials rivaling the look and feel of the real thing. Tied with festive holiday bows, this greenery will never fade from the peak of its beauty, ready to brighten your holiday decor for years to come. But don't wait - the edition is limited to 120 crafting days and strong demand is expected. Order now! According to Native American-inspired legend, the wolf is a sacred guardian that watches over us night after night, season after season. Now, the enduring spirit and mystical beauty of the wolf pack comes to life with the Twilight Guardians Collector Plate. Showcasing the acclaimed wolf art of James A. Meger, this stunning collector plate is available exclusively from The Bradford Exchange in a strictly limited edition of 5,000 worldwide. Crafted of precious Heirloom Porcelain® with a genuine platinum rim, this Masterpiece Edition plate showcases a vibrant art montage of award-winning portraits from renowned artist James A. Meger - including two cameos symbolizing the enduring spirit of the pack. The thick decorative border is enhanced with a handsome filigree and feather design, with a gleaming title plaque for the finishing touch. Your collector plate arrives in a satin-lined Deluxe Presentation Case, perfect for elegant storage or gift-giving. Peak demand is expected, so don't delay. Order now! Far from human habitation, handsome timberwolves run free through the moonlit wilderness. This is the untamed beauty award-winning wildlife artist Al Agnew captures in his breathtaking paintings. Now, you can bring this intriguing realm into your home with the Sacred Wilderness Bookends Collection, limited-edition wolf bookends exclusively from The Bradford Exchange. The three-piece collection begins with Issue One, Moonlight Majesty. Soon your collection will continue with Issue Two, Starlight Serenade, and your collection will be complete with Issue Three, Twilight Sentinels, each issue to arrive separately. Each bookend in this 3-piece collection showcases a proud wolf boldly standing on a snowy terrain fully sculpted and meticulously hand-painted in fine detail for the ultimate in realism in the artistic traditions of Rhodes Studios. Adding to the drama of each scene is Al Agnew's award-winning artwork emblazoned on a deckle-edged "sculptural stone" arrowhead in the background on the right and left bookend and below the fully dimensional wolf on the centerpiece. Best of all, the artwork glows in the dark after exposure to any light source, thanks to the latest in imaging innovation, giving Mr. Agnew's art a luminous, moonlit glow! Mahogany-finished bases feature a Native American-inspired geometric design that complements the artwork. Certain to light up your home decor, these bookends are expected to excite strong demand, so don't delay. Order now! Experience the call of the wild, captured in the splendor of a precious cut crystal pendant necklace! The natural beauty, untamed power and spirited intelligence of the wolf becomes one with the sparkling beauty of this wolf-themed jewelry gift, brought to life by the impressive portraiture of esteemed wildlife artist Eddie Le Page. A fine jewelry exclusive from The Bradford Exchange, the extraordinary design of this handcrafted cut crystal pendant necklace showcases Mr. LePage's striking image of a silver wolf, gazing outward from a heart-shaped cut crystal of almost untouchable beauty and brilliance. Hanging from an elegant 18" sterling silver chain, this remarkable pendant reveals a secret radiance designed to highlight and reflect the beauty of the wearer. The perfect wolf-themed jewelry gift, it even arrives in an elegant, custom-designed presentation case. Do not delay - intense demand is expected for this exceptional jewelry exclusive, so order now! They are social creatures. They travel and hunt in packs, and are very protective of each other! Celebrate the wild, untamed spirit of the wolf with this intricately crafted, lighted wolves sculpture inspired by the art of award-winning artist Al Agnew! A shimmering "ice-covered" crystalline tree is home to 12 fully-sculpted wolves, in howling, hunting and protective poses. A single white wolf figure sheltered in the center meets your gaze with piercing eyes.This handcrafted sculpture is a limited edition exclusively from The Bradford Exchange. LED lights at the top and bottom illuminate this stunning pack of wolves. The illuminated, full moon showcases one of the artist's most acclaimed and recognized wolf portraits. Strong demand is expected from Al Agnew collectors, so order now!